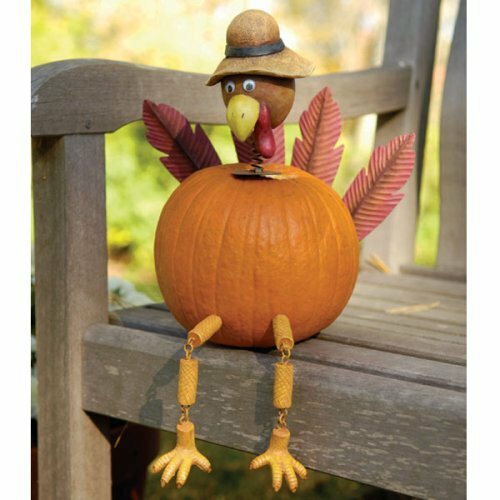 I'm getting out of my normal posting schedule this week because it's Thanksgiving. Instead of spreading out my posts throughout the week like I usually do, I have decided to give them all to you today so you will have plenty of time to use them. P.S. 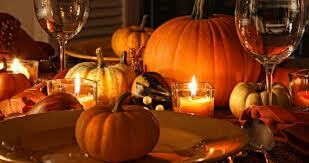 Check back on Monday when I will be starting my series on planning and cooking for Christmas. I don't know why it is, but people who are quite happy eating casually around the TV suddenly get totally stressed out when it comes to the Holidays and setting a table. This really is not necessary. There are all sorts of wonderful ideas for setting a great table that are quick and easy and can also be very inexpensive. 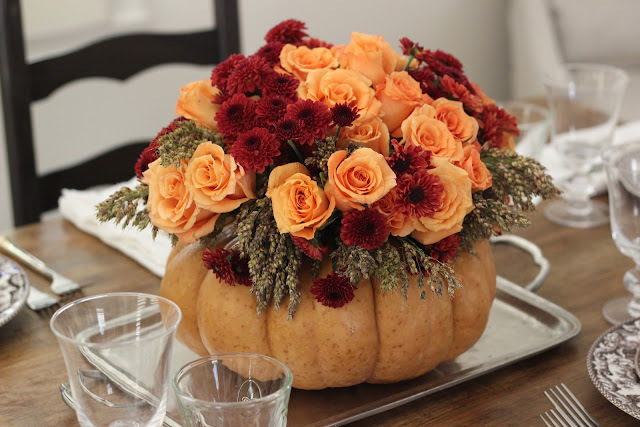 A pumpkin flower arrangement looks lovely and festive on the table and is very easy to make. Just cut of the top of a medium pumpkin and hollow it out. If you can afford to splurge on some flowers (or still have some in your garden) put in a small vase or bowl, and fill with an arrangement of your choice. 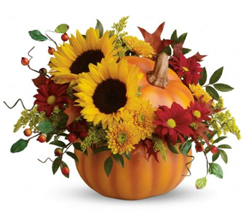 Seasonal flowers such as mums, daisies and sunflowers are great to use, and mixing in a few roses can be very effective as well. If orange isn't your colour, don't despair. 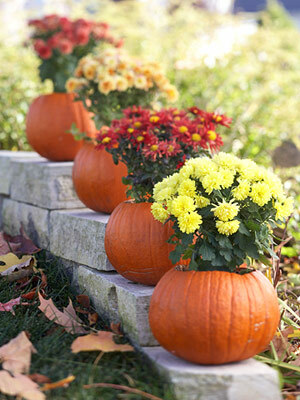 You can find pumpkins in different colours - as you can see by my examples - so there are bound to be some that will fit into your colour scheme. 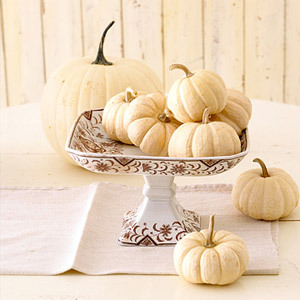 An alternative to flowers would be to use small pumpkins as candle holders. Always make sure you use an insert of some kind for safety. Some people use pumpkins in all their Thanksgiving decorating - both inside an out. Here are a few examples. 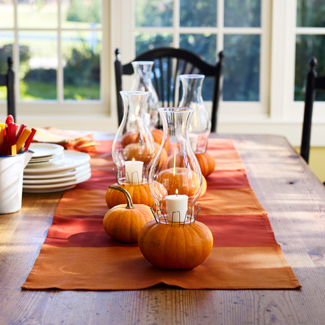 Here you can get lots of great decorating ideas, including this table using pumpkins both great and small. 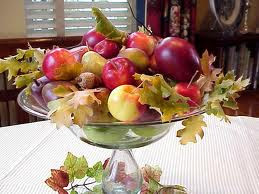 This very simple and effective centrepiece uses apples from your fridge and leaves from your back yard. You can't get much simpler than that! 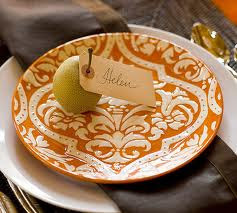 Here is another website with some wonderful and elegant but simple ideas for your Thanksgiving table, including this simple but inspired place card idea. And this is a very cute Holiday table which the kids can help to create. You can read all about how it was put together here. If you have young children, getting them involved with making something for the table will help them feel they are contributing. 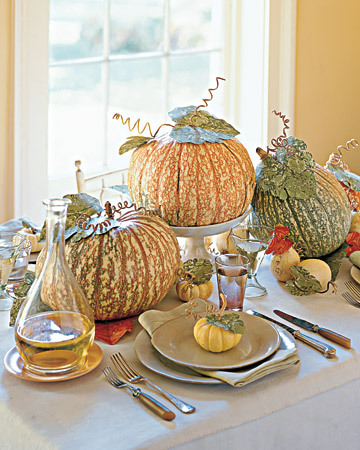 You can find instructions for this table centrepiece here along with a video on how to make it. 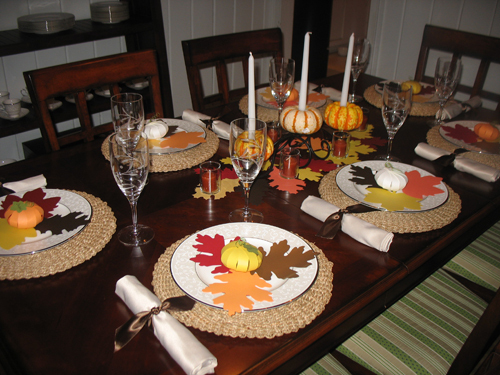 With a little imagination, coloured paper and natural ingredients, you can create something much better than anything available at any store, so don't use the fact that money is tight to stop you from creating a beautiful Thanksgiving table. And remember, in the end it's the people that count not the things. 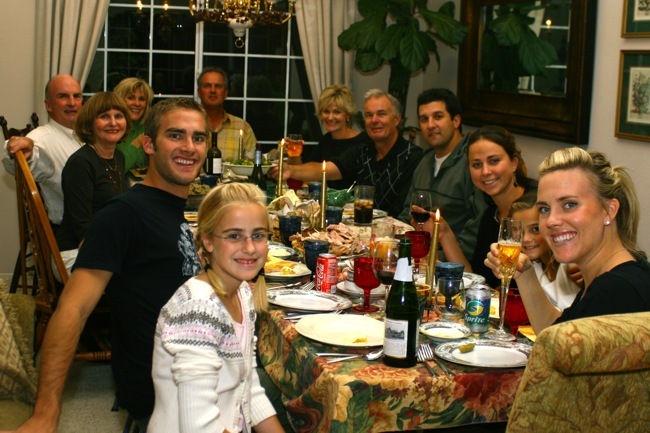 Nobody will remember what your table looked like ten years from now. What they will remember is the fun you all had together.